I was concerned about our bees a couple of weeks ago and thought the bees had either left or were all dead. We did not see any activity going in and out of the hive and when we cracked the top we didn’t see any bees. That was when the temp was in the low 40’s, however today it was in the high 60’s and there were a fair number of bees going in and out of the hive. I wish I would have taken video right then because when I came back they were less active. My brother ended up with too many chickens so 9 of them moved in with me. Right now they are in a dog pen, while I build a coop and run for them. 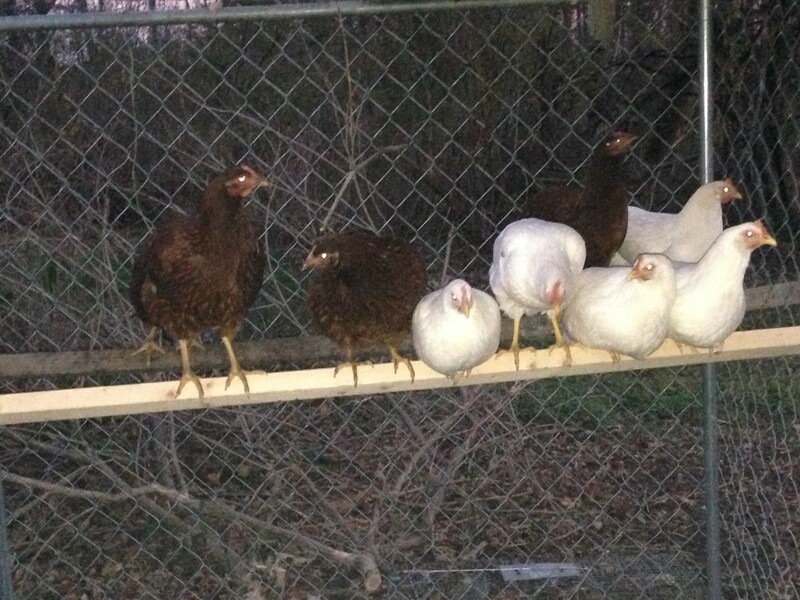 This entry was posted in beekeeping, chickens and tagged beekeeping, chickens. Bookmark the permalink.